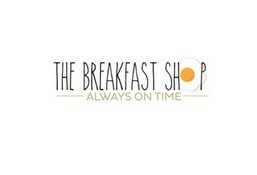 The Breakfast Shop is currently closed for delivery and it will open at 08:00 AM today . American yellow & white cheddar baked cheese. Dark chocolate chunks and mixed berries coulis with caramel syrup. Shanklish, foul, olives, fresh zaatar, halawa & Lebanese bread. 2 baked eggs in a delicious tomato, red pepper and chili salsa. 3 eggs omelet cooked with onions and green chili served with paratha bread. Foul moudamas with olive oil, onion, tomato, mint leaves, olives and Arabic bread. Baked smoked turkey & cheese. Baked smoked turkey, cheese and fried egg. American yellow, white cheddar baked cheese with black truffle oil. Soft potato bun bread, fried eggs, caramelized onion & cheese. Soft black bun, fried egg, Japanese mayo, avocado & cheese. Smashed Fresh Avocado mixed with fresh tomatoe, onions, chili, fresh coriander leaves, fried egg in sour dough. Egg white, feta cheese, sumac, wild rocca, tomato and avocado in sunflower brown bread. Scrambled eggs, emmental cheese, caramelized onions, aioli and bell peppers on sourdough. Black beans, scrambled eggs, salsa, cheese, and avocado in protein wrap bread. Fresh halloumi cheese, fresh herbs, tomato and olives in protein wrap bread. Fresh labneh, cucumber, zaatar, mint and olives in protein wrap bread. Zaatar, tomato, mint and olives in protein wrap bread. Truffle oil and sea salt or red chili flakes and olive oil, open face on sunflower brown bread. With maple syrup or Nutella. Cinnamon, banana, dates & maple syrup cooked in coconut milk. Greek yogurt, maple syrup & pineapple. Chia pudding, fresh mango & maple syrup. Spinach, kale, apple & coconut H2O. Pineapple, coriander, coconut water & ginger. Apple, strawberry & coconut H2O. Pineapple, spinach, pear, kale, celery & cucumber. Cucumber, coconut water, romaine lettuce, kale, lime, turmeric, wheatgrass, spirulina & a dash of jalapeño. Wheatgrass, coconut water, spirulina & lime. Lemon, echinacea, turmeric & baobab.